Ten FOM members attended the Federal Court hearing, 9/12/16, before Judge Leslie E. Kobayashi on FOM’s Clean Water Act Complaint against Defendants (Grove Farm’s Maha`ulepu Farms LLC, the Ulupono Initiative and Hawaii Dairy Farms (HDF)). At the hearing, the court announced her “inclinations” and advised the parties that her final decision would be forthcoming. Judge Kobayashi stated that she was not inclined to grant Defendants Motion for Summary Judgement seeking to have FOM’s Clean Water Act case dismissed for lack of standing. In fact, Judge Kobayashi stated that she found Alan Faye’s declaration, filed by FOM, as support for both standing and that his testimony qualified him as a lay expert witness. Defendants’ attorney argued that the Court should dismiss (throw out) FOM’s case altogether. The Court did not give any indication that she would change her inclination to allow FOM to go forward with its case. A trial date is currently set for February 2017. FOM filed its Summary Judgement Motion (SJM) based on Defendants ongoing construction activities without the required General Stormwater Construction Permit. At the hearing, the Judge explained that she is reluctant to find a Clean Water Act violation as a matter of law without hearing any evidence. FOM’s attorneys felt that existing case law by other Judges in this district have already provided precedent for finding liability solely on the ground that construction was done without the necessary permit. If the Judge were to change her inclination and grant FOM’s SJM, it would save FOM some of its trial costs because we would not have to prove liability and the evidence offered would be to establish damages. If the Judge doesn’t change her inclination, FOM will be entitled to proceed to trial against defendants and will have to establish liability and damages. Hawai’i Dairy Farms “voluntarily” submitted a Draft Environmental Impact Statement (DEIS) after public comments were received from the originally submitted EIS Preparation Notice. The public comment period was for 45 days, beginning June 8th and responses had to be post marked no later than July 25, 2016. Please read the terrific comments that were submitted by concerned members of the public by accessing them on our Google Drive space. Read Kawailoa Development LLC/Hyatt Comment to HDF’s DEIS. 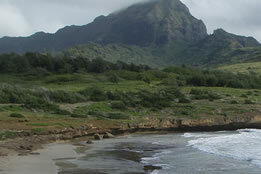 Hawai’i Dairy Farms “voluntarily” submitted an Environmental Impact Statement Preparation Notice (EISPN). The public comment period was for 30 days and began on January 23rd, 2015 ending on February 23rd, 2015. During this time frame, many individuals submitted concerns by providing comments on thirteen different criteria that should be covered in the Draft EIS. Any respondents then became a consulted party to receive the Draft EIS. The purpose of the comments was to assure that the scope of HDF’s Environmental study adequately addressed each of the 13 Criteria and details what they intend to do to avoid significant Environmental impact in each of those areas. Comments were only valid if copies were sent to Department of Health, Group 70 International and Hawai’i Dairy Farms. View or download a copy of HDF’s EISPN. In February 2015, Hawai’i Dairy Farm’s (HDF) submitted, for a second time, an Archaeological Inventory Survey (AIS) of 580-Acres in Māhā’ulepu Ahupua’a, Koloa District, in connection with its proposed dairy in Māhā’ulepu. On April 13, 2015, the State Historic Preservation District (SHPD) asked HDF to revise its AIS for the second time. The document below was submitted to the Hawai’i State Historic Preservation Division and contains initial comments concerning the Hawai’i Dairy Farm’s second AIS statement.